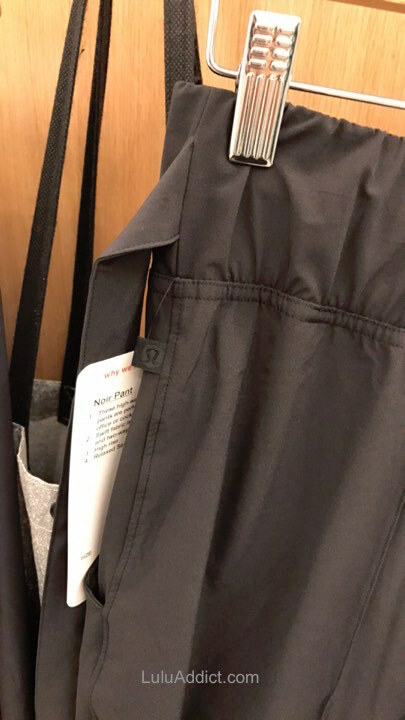 Ms. K. sent us some in-store photos of the latest products to hit the store. In these photos, Aeon and Teal Green Raise the Barre Bras. Noir Pants, with a Run the Day tank. I really like these. totally off subject...I haven't seen a SeaWheeze post, did you run it this year? Noir Pants look cute! I'm really short so I don't think they'll work on me unless I get them hemmed. I never even thought to consider these, but from these photos photos, they're really cute. The Noir pants are originally from the &go collection a few summers ago. They are amazing! Happy they are back! I wear them to work and out all the time. 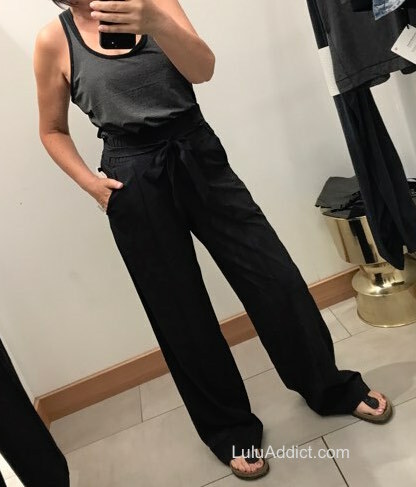 Noir pants are great on long and lean bodies. Almost everyone needs them hemmed, but of course, this depends on the shoes you plan to wear them with. 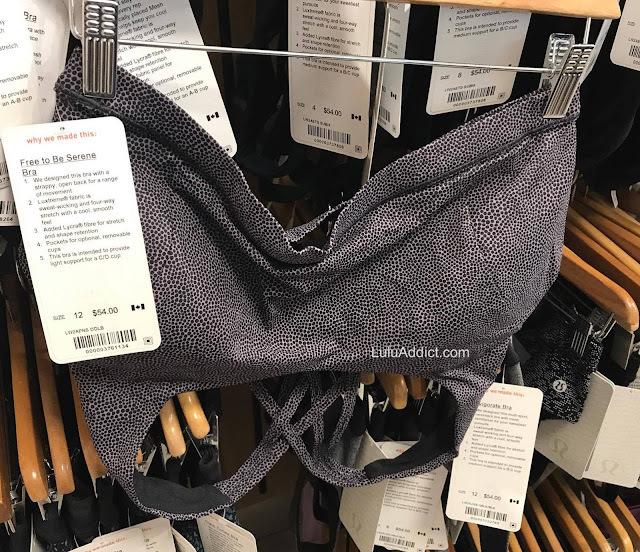 Not seeing anything remotely similar on the Athleta site, but I'm not an Athleta expert - never bought anything from them - so maybe I just missed something. Tried on the Raise the Barre bra. It looked great, but zero support. 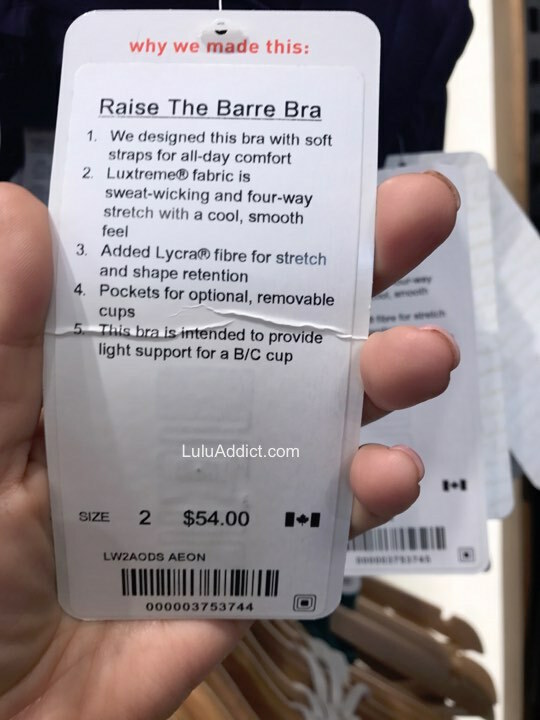 I wish Lulu would make more bras that fasten, rather than the "over the head" variety. If something's going to fit over my shoulders, what are the chances that it's going to be snug on my ribcage? Instead, I impulse purchased the Heathered Utility Vinyassa. I have three Vinyassas and seldom wear them, so it was probably not the best use of money, but the color was so flattering on that I couldn't resist. @riseandshine: I went ahead and ordered them, so fingers crossed! I believe the Athleta pant she is referring to is the Destination Wide leg and yes, it's very flattering and very similar to the Noir pant. 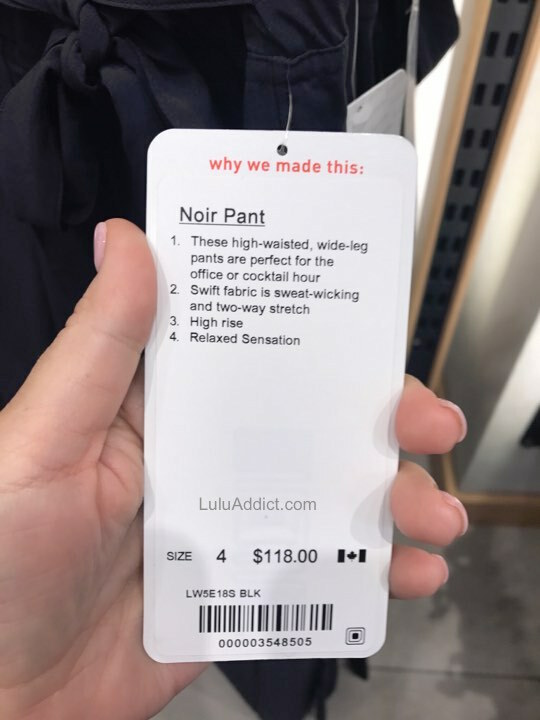 I got my noir pants this weekend and I LOVE THEM, except they're too short :( I rarely have this problem with lulu pants but it has been happening more frequently lately. 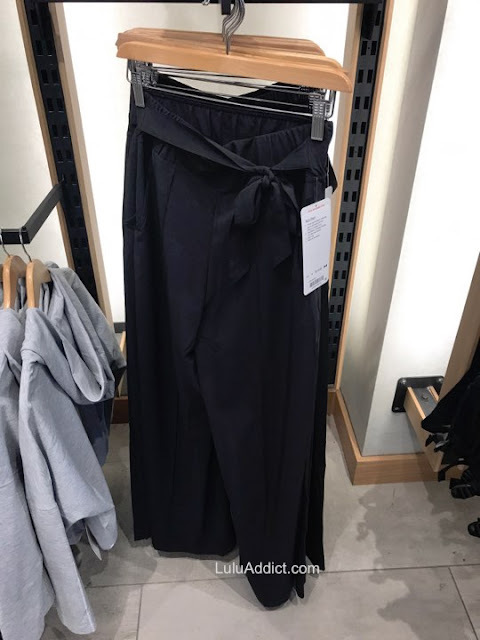 Since the inseam for these pants wasn't available on the site and they've done away with info on the size/height of the models it's been even more difficult for me to buy their stuff recently. Sad times. Wow, anon @ 5:08, those do look similar. 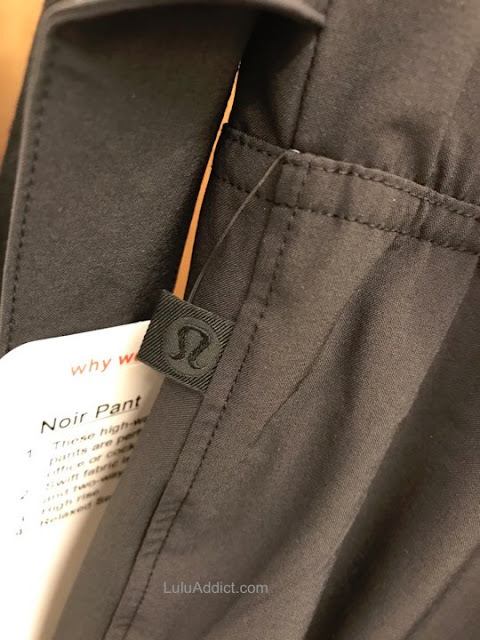 There are some differences in the cut, which I think look better in the Lulu version, but it's hard to beat $30 for these pants. Athleta is looking more and more like Lulu and they're consistently cheaper. 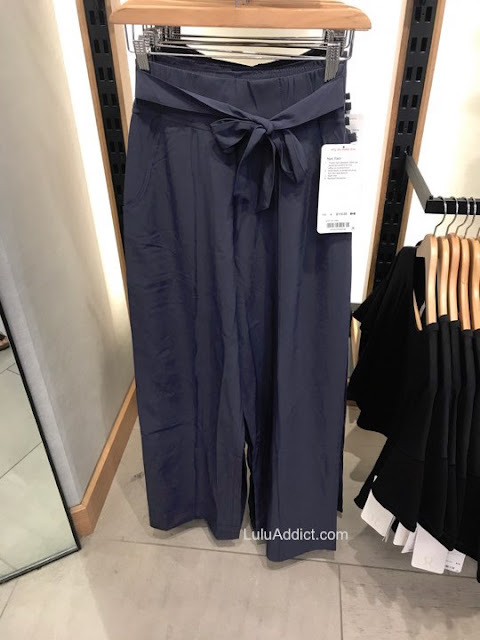 Lulu really needs to up their style if they're going to stay competitive.